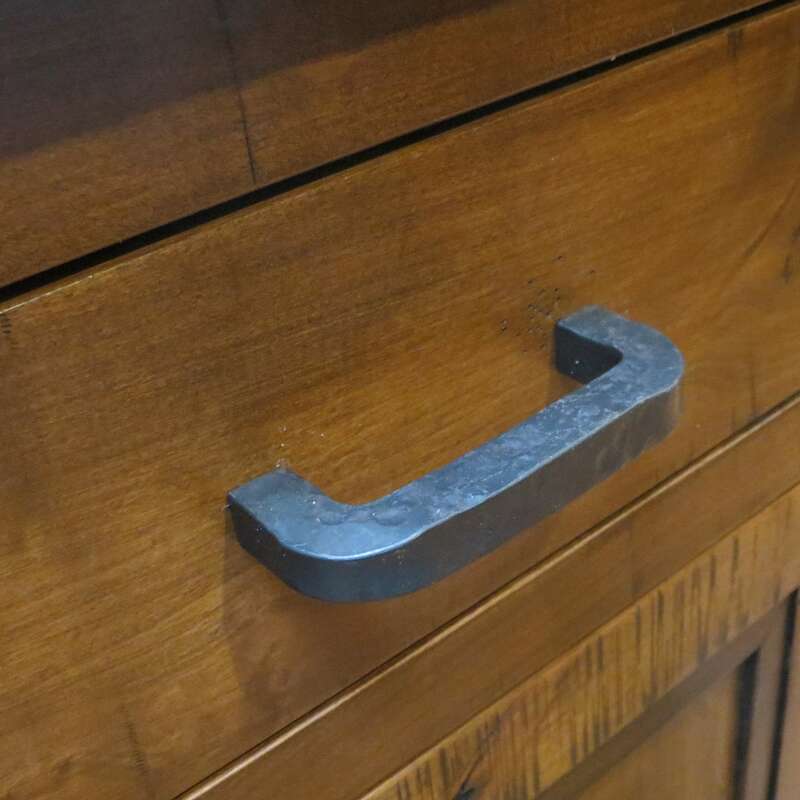 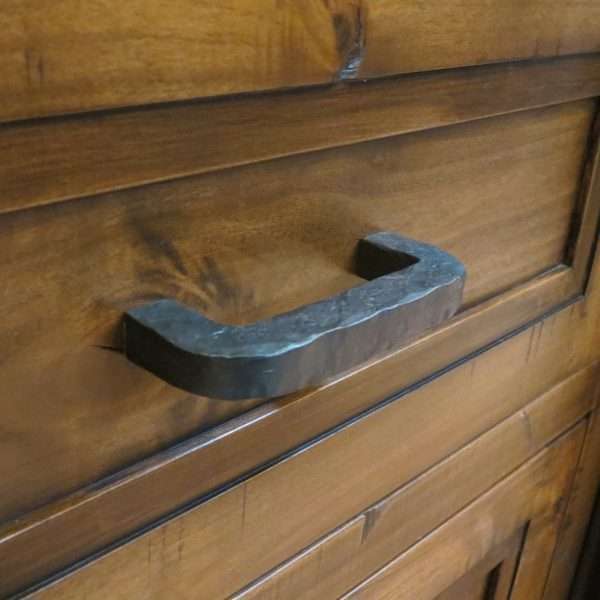 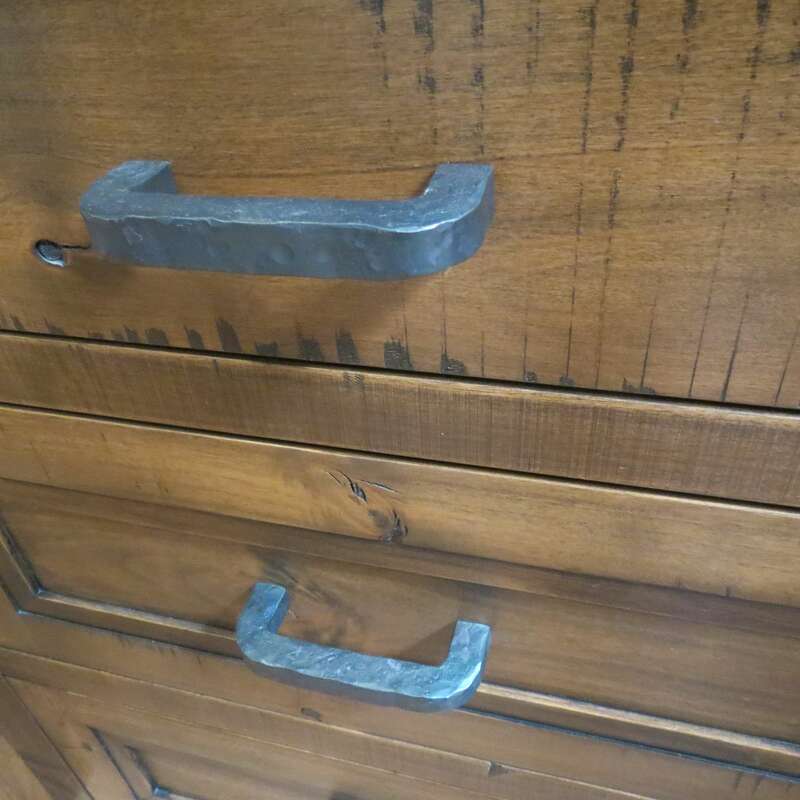 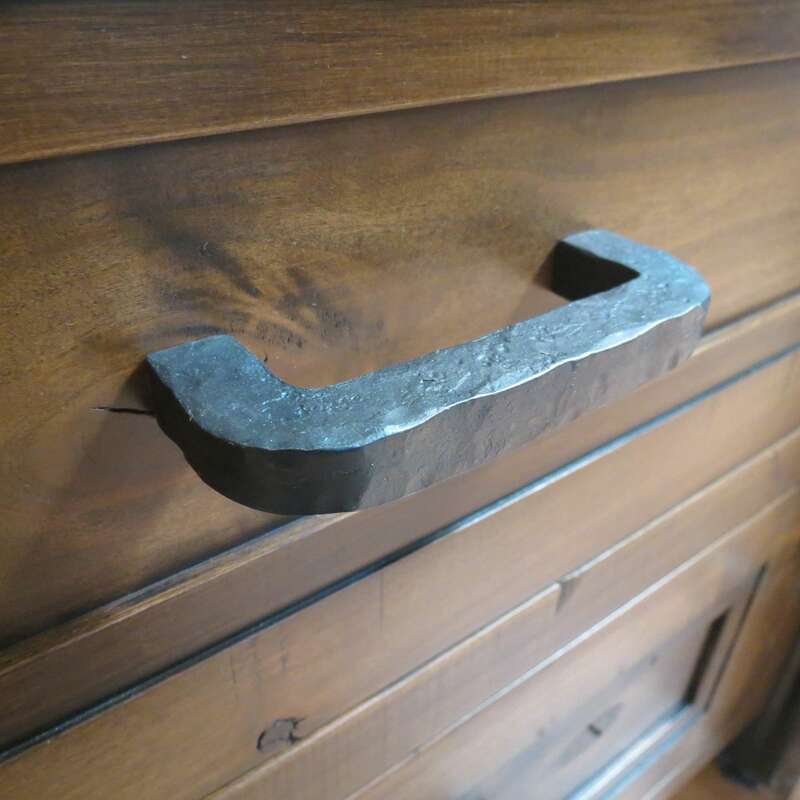 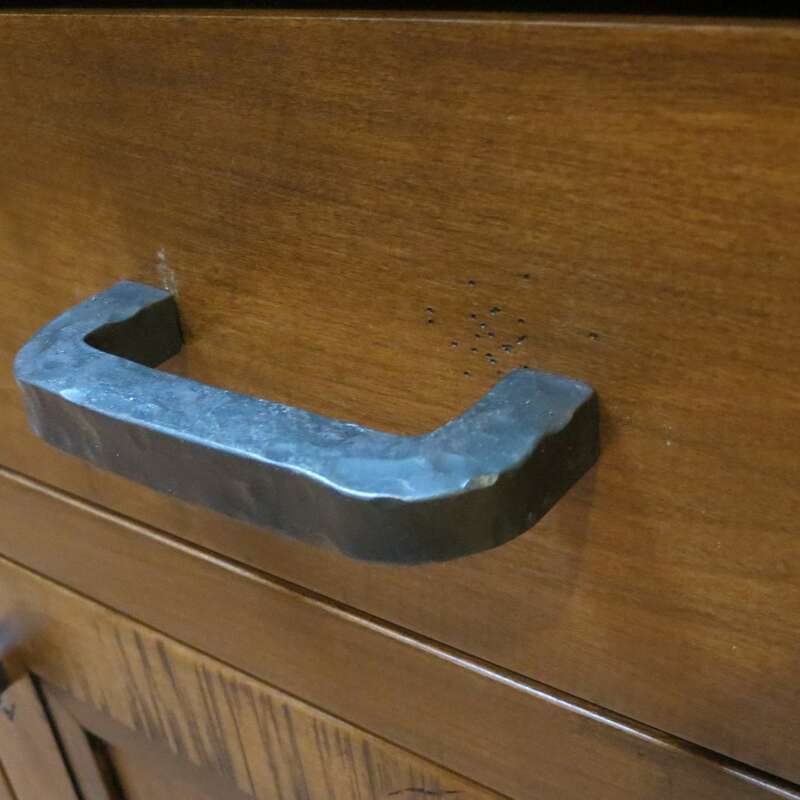 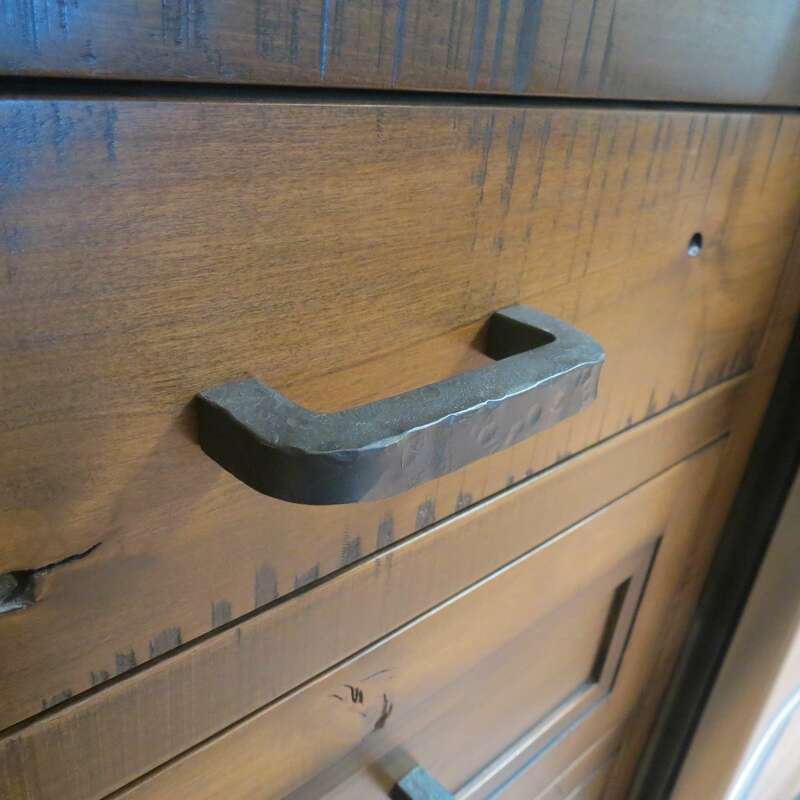 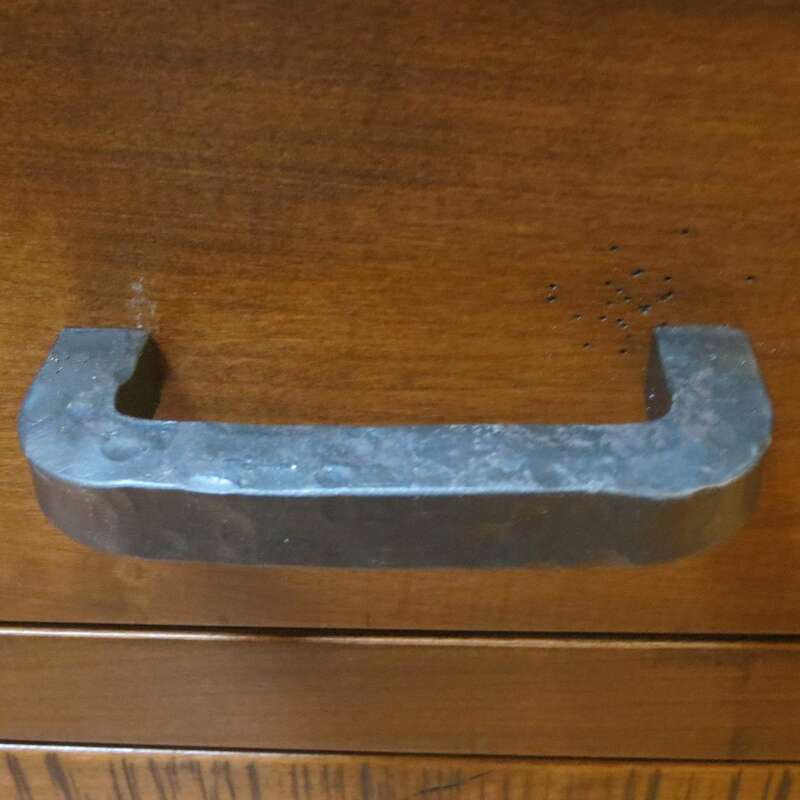 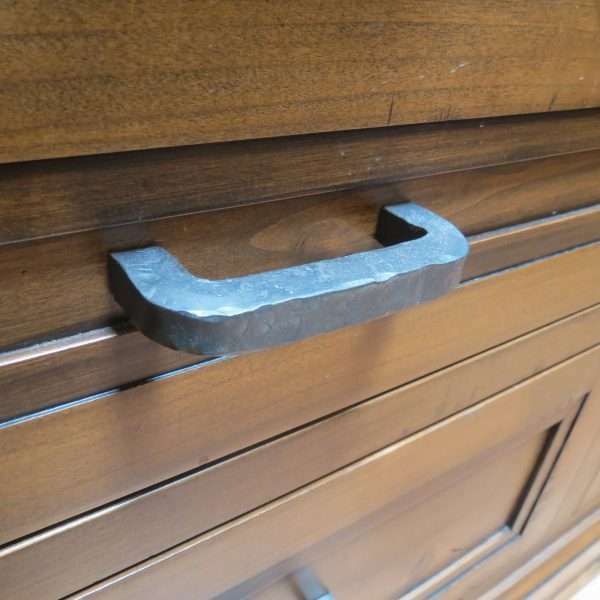 Drawer pull hand forged from 5/8″ square bar. 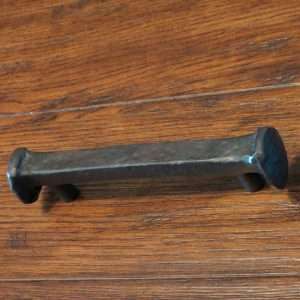 Pulls come in size options (based on screw center dimensions) of 4″, 6″, 8″, 10″, 12″. 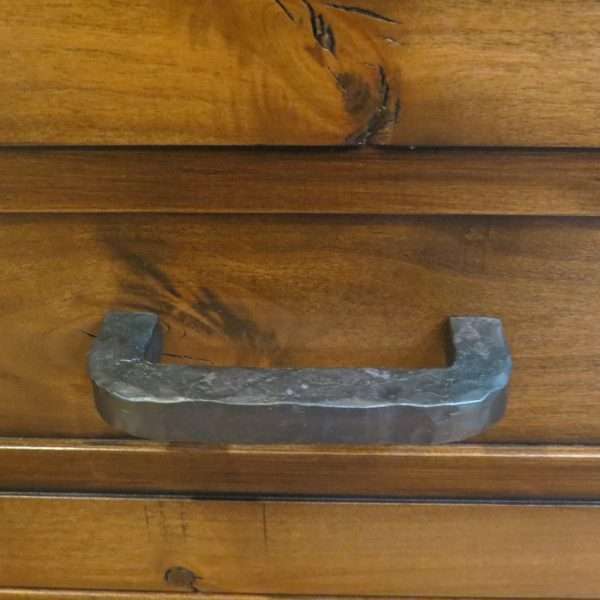 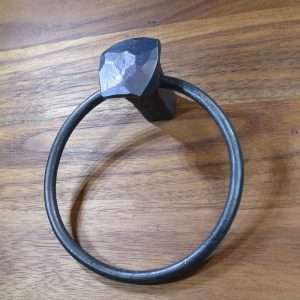 Overall Dimensions based on size option are approximately (4-5/8″, or 6-5/8″, or 8-5/8″, or 10-5/8″, or 12-5/8″) x 1-3/4″x 5/8″. 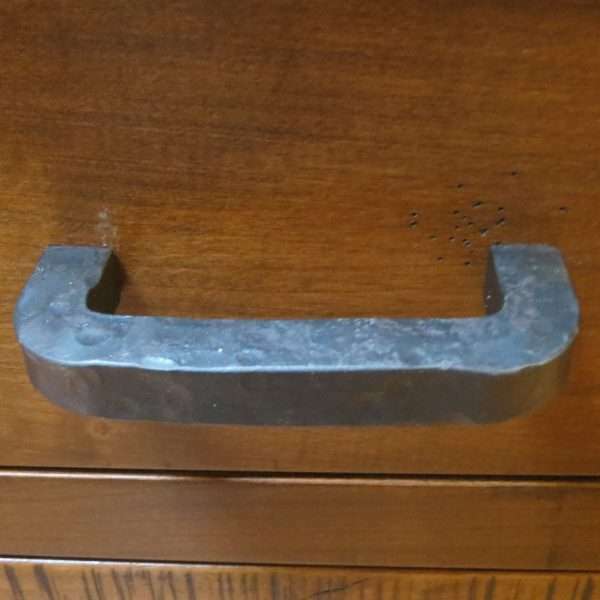 Each is tapped supplied with (2) 1-1/2″ 8-32 screws on 4″ or 6″ or 8″ or 10″ or 12″ centers. 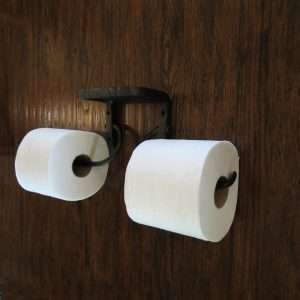 The items pictured are painted with “Matt Clear” and are the 4″ option.